I love all books, but I find fantasy and science fiction most enjoyable. I read whenever I can outside of school, which mostly leads to bursts of literature over breaks. 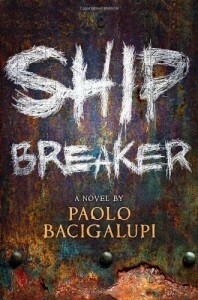 The novel Ship Breaker was absolutely the best book I read all summer. It is a futuristic novel that takes place in a world that is haunted by weather extremes and poverty. The protagonist of the story is Nailer, a teenage boy working the light crew, searching for copper wiring in long sunken oil tankers. His life changes when he discovers a wreaked yacht and the wealthy girl inside. 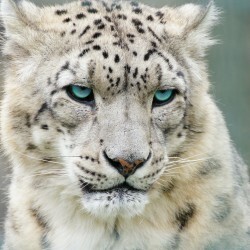 Running from jealous workers, the two set out on a quest that could offer Nailer a new life. Honestly, the reason this book stood out to me on the summer reading list was because of the warning that it contained "violence and mature subject matter". Although though it did contain references to drugs, prostitution, underage-drinking, and a whole lot of violence, it didn't take away from the plot at all. I was constantly riveted by the descriptions of futuristic technology and climate, and each chapter revealed a new complication to the plot. I highly recommend this book and will defiantly be reading the second.